Sparrows are beautiful, and they can be enjoyable (and even fun). We will get past the angst that sparrows and other LBJs cause among birders by seeing sparrows differently: primarily through habitat niche specialization, genus, and shape, not by focusing on plumage. Our workshop will focus on strategies for identifying and appreciating LBJs. Our field trip will put those lessons into practice while we visit some of the better sparrow habitats around the west valley. (Those are also good birding spots in general, so expect lots of birds.) Walking will be easy, but the soils can be silty and dusty. Workshop participants have priority in the field trip. Registration is free to MAS members. Non-members can join in advance of the workshop or at the workshop. Membership levels start at $20. To join using a credit card, please attend our member meetings. To mail a check, please visit our website. Please note that if checks are not received before the workshop, you will be required to pay at the door. 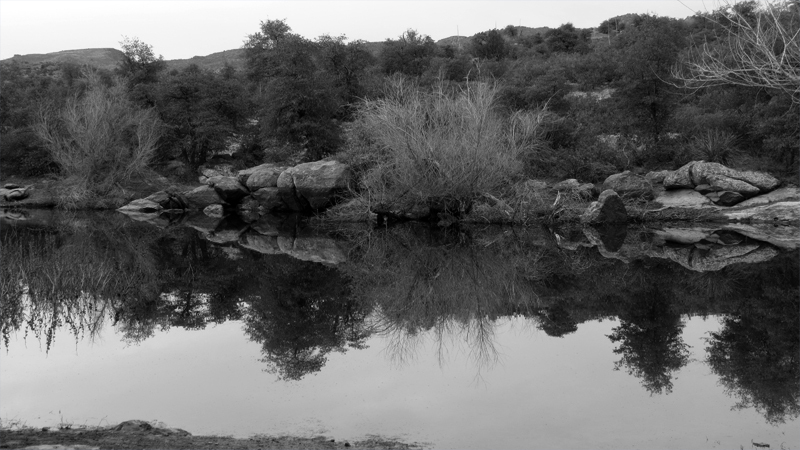 Goal: over 70 species in at least four habitats, including the uplands of Oak Flat, the oasis of Boyce Thompson Arboretum, and the suburban wetlands of Gilbert Water Ranch. Walking areas are mostly level; plan to cover up to four miles. Start 5:45 am from Gilbert and return at 2:00 pm. View lingering winter and typical spring Sonoran upland and oak-juniper birds: juncos, Crissal Thrasher, Black-chinned Sparrow, Bewick’s Wren, probable early Vermilion Flycatcher, three towhee species, and raptors. This area is sacred to the San Carlos Apache, but planned for mining. Look at test drilling sites and impacts. 9:00-11:30 am. Difficulty: 5 (some uphill walking). Bring snacks, water, hat, sturdy walking shoes, optional scope. These large ponds attract huge numbers of waterfowl, shorebirds, and raptors during the winter. Bird for two and a half to three hours. Bring water, hat, and binoculars. Scopes useful here! Meet 8:00 am in Flagstaff. Bring lunch and warm clothing. Look for waterfowl on the lakes. Possible species include Bald Eagle, Red Crossbill, Cassin’s Finch, Pinyon Jay, and Rough-legged Hawk. Minimum of 6 people required. Mt. Ord (7100’), in the Mazatzal mountains, is one of Maricopa County’s few choices for high elevation bird habitat. An early start could grace us with one of the premier sunrises in the county. See Western Bluebird, White-breasted and Pygmy Nuthatches, Hairy and Acorn Woodpeckers, Woodhouse’s ScrubJay, Bridled Titmouse, Hutton’s Vireo, and Spotted Towhee. Potential sightings include: Painted Redstart, Olive Warbler, Cassin’s Finch, and Red Crossbill. Uneven rock surfaces and short travel down moderately steep drainage. Meet at 5:00 am. Return at about 1:00 pm. Bring snacks, water, hat, sturdy walking shoes, hiking poles if necessary for drainage, and lunch. Leader: Dara Vasquez. To reserve, send your cell number to Larry Langstaff, larrylangstaff1@gmail.com. Early spring migrants and resident species will be active. Cover four main habitats up the slope, each one with its own community of birds: mesquite (3500’), chaparral, Ponderosa Pines and Douglas Fir-Aspen near the peak (7890’). Sunrise is at 6:20 am, and the temperatures will be 10 to 20 degrees cooler at the top than in Phoenix. Bring water and lunch. This trip includes two or three short walks into the mesquite and Ponderosa Pine habitats, but they are level and easy trails. Bring a walking stick if you feel more comfortable using one. Most birding, however, will be from the road and near the cars. You will receive a checklist for the area two weeks before the trip. Leave Tempe at 5:00 am. The drive to Globe will take about one hour and 20 minutes. Return about 3:00 pm. Limit 7 with two drivers in two cars. Exploring Evelyn Hallman Canal Park also possible. Leader: Myron Scott. Register by emailing your cell number to larrylangstaff1@gmail.com. Great-tailed Grackle mating rituals and family nesting site survey. Enjoy sites along the North Shore of the Lake where nests abound together, elaborate wooing rituals are often seen and learn about the life cycle of this common but fascinating year-round resident. 8:00 a.m.
Leader: Robert Taber. RSVP at mindfulbirding@protonmail.com. This is an under-birded area off SR87 near Sunflower. It has a nice variety of habitats including a sycamore-lined creek, with some open fields and nearby high desert/transition zone, with great potential for lingering winter species as well as early migrants. We may see American Robins and Townsend’s Solitaires, along with Lucy’s Warblers, Common Black Hawks and Bell’s Vireos, plus typical resident species of the various habitats. We’ll start about 5:45am in Fountain Hills, and finish about 10:30ish in a Fountain Hills coffee shop. Leader: Kather Anderson. Please register with Kathe Anderson at kathe.coot@cox.net. We will see many return nesting species like Gray Vireo, Black-chinned Sparrow, Hooded and Scott’s Orioles and Black and Zone-tailed Hawks. Going up Mr. Ord we will look for the six “Arizona Warblers” as well as migrating Hermit and Townsend’s Warblers. Bring Lunch. Leader: Charles Babbitt. For reservations, contact Charles at (602) 840-1772 or cjbabbitt@cox.net. Depart Globe at 6:30 am, carpool to campground. Small stream riparian area with Lucy's and possible late warblers, Northern Cardinal, Black-headed Grosbeak, Brown-crested Flycatcher, Juniper Titmouse, Ravens, Woodhouse’s Scrub-Jay, and Bullock's Oriole are likely. End at 10:00 am and return to Globe. Difficulty: 1. Bring water, optics, closed-toed shoes, snack. Leader: Myron Scott. Register by emailing cell number to larrylangstaff1@gmail.com. Tempe Town Lake, East side. In search of Warblers! Spring brings a variety of colorful plumages on warblers, and many fly through riparian areas like Tempe Town Lake Marsh. Join Roberta Taber to do an informal, fun and fluttery warbler count as we watch these busy little beauties in Tempe. 7:00 a.m.
Leader: Roberta Taber. RSVP at mindfulbirding@protonmail.com. Papago Park Dragonflies and Butterflies. Learn to identify local butterflies including Painted Lady, Queen, and Fiery Skipper as well as common dragonflies and damselflies such as Blue Dasher, Flame Skimmer, Blue-ringed Dancer, and Familiar Bluet. Easy, one to one and a half hour strolls around the lakes. Children welcome. Bring binoculars (close-focus preferred), water, and hat. Meet 7:00 am at Lake 2. No reservations needed. Leaders: Janet Witzeman, Pete Moulton and Laurie Nessel. For reservations, contact laurienessel@gmail.com. Hardy souls willing to trek in the early morning heat of May with a slight chance of finding a desert tortoise can join leader Laurie Nessel as we traverse steep, rocky hillsides searching for tortoises that emerge during the arid fore-summer. Just about all tortoises surface to replenish their water reserves after an iconic monsoon storm. But some tortoises, notably females and juveniles, will emerge in late spring, or even during winter rain days, to feed, bask and drink if possible. This will be a first time spring tortoise trip for MAS. We will cover the behavior, life cycle, and status of this keystone species. Difficulty: 4 (steep, rocky terrain, and hot weather). Bring snacks, sun protection, hat, sturdy hiking shoes, a high power flashlight or mirror and plenty of water. Start near daybreak and return by noon. Leader: Laurie Nessel. For reservations, contact laurienessel@gmail.com or 602.391.4303. I look forward to returning to this area and exploring some new spots highlighted in the guide to finding birds in Southeast Arizona. The loop at Fairbanks is a couple of miles long, but relatively flat, although sandy. St. David is shorter and also generally easy going. We should see a rainbow of colorful neo-tropic migrants such as chats, flycatchers, grosbeaks, vireos, tanagers and buntings, along with possible Gray Hawks, Common Ground-Doves and perhaps a Mississippi Kite at St. David. We’ll start early on May 20 to hit some hotspots on the way south, and depending on timing, we’ll go exploring. We’ll concentrate on Fairbanks the next day, and fit St. David in at some point. Back in Phoenix on Wed about 6ish. Benson will probably be our place to stay. Costs will include 2 nights of lodging at moderate hotels, meals and gas. Leader: Kathe Anderson. Please register at kathe.coot@cox.net. See swifts, swallows, jays, wrens and other residents in this refreshingly cool, riparian habitat northwest of Payson. Adult entry fee is $7. Leaders: Roberta Taber and Joy Bell leaders. RSVP at mindfulbirding@protonmail.com. Pierre Deviche, ASU’s School of Life Sciences professor and Odonate expert, will be your guide on this dragonfly field trip to nearby Pinal County. Eighty-eight species have been recorded to-date in this county and we should be able to find quite a number of them. This will be a one-day trip visiting (tentatively) Oak Flat, the Gila River at Kelvin Bridge, Kearny Lake, and/or the Dudleyville fishing ponds. Close-focus binoculars are helpful to observe the small species and so if have a pair, be sure to bring it. Leave Gilbert at 8:30 and return mid-afternoon. Difficulty: 2 (all locations are easily accessible). Be sure to bring hat, sunscreen, long sleeves and pants, hiking shoes, bug dope, and food & drinks for the day. Limit: ~10 (to allow for good viewing and photography). Leader: Pierre Deviche. Registration-email cell number to Larry Langstaff at larrylangstaff1@gmail.com. We’ll leave early on Wednesday morning, bird on the way to the White Mountains, check out the multiple areas highlighted in AZ’s Wildlife Viewing Guide, and head back to arrive by dinner on Fri. Key sites are likely to include Christopher Creek, Woodland Lake, Luna Lake, Nelson Reservoir, Greer area and Sipe White Mountain Wildlife Area. We should get quite a nice collection of species, with warblers, tanagers, nuthatches, woodpeckers and jays mixed in with waterfowl at the lakes. Costs will include 2 nights of lodging at moderate hotels, meals and gas. Difficulty: 1-2. While previous experience indicates this does not include strenuous hikes, the elevations can top 9,000’.